If you’re looking for family law information or legal advice, we understand that this may be a difficult, emotional and often confusing time for you. It’s important to remember that you’re not alone and support is at hand. At HSBS Law, we believe in showing all clients the utmost empathy, confidentiality and sensitivity as we work with you to understand your situation. As a law firm, we are not only compassionate Family Law specialists but we are Family Law enthusiasts and this area of law is a core passion of ours. We understand that the outcome of your case will has a lasting impact on your future, so we aim to demonstrate genuine sensitive support, whilst providing you with skilled legal representation. 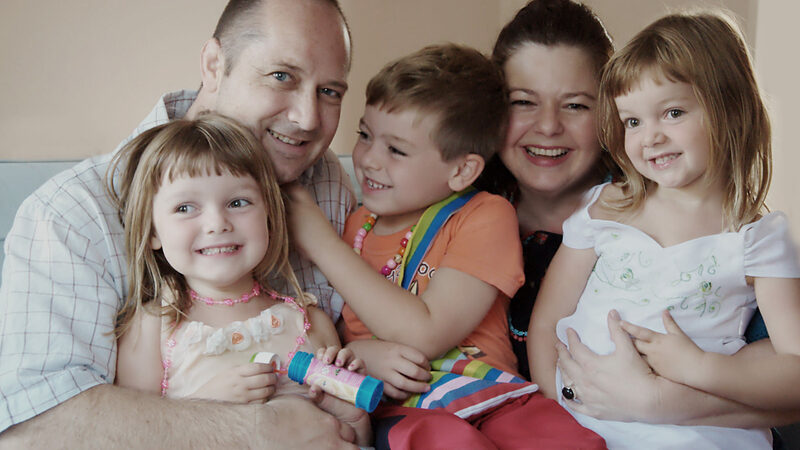 We have worked with a number families and individuals across various nationalities in the most complex of situations involving children, finances and businesses. Our team has built up a strong experience and will be on your side, helping you make the best decisions for your future in the most favourable and amicable way possible. How can HSBS Family Law Solicitors help you? If the relationship between you and your spouse (or civil partner) has broken down and cannot be worked out, it may be necessary to apply for either a divorce or dissolution of your civil partnership. In order to proceed through this process, certain criteria must be met and the grounds for the ‘divorce petition’ must demonstrate that the marriage has irretrievably broken down. This is naturally a difficult time and the decisions made will have a lasting impact on the future of all parties involved. You’re likely to have many concerns and questions about the process, your options, protection of assets and living arrangements. Whatever the complexity of your situation we aim to understand the reasons for the breakdown, protect your personal interests and minimize conflicts by exploring all routes to resolution including mediation and collaborative law. When both parties are in mutual agreement of the divorce / dissolution, this is known as ‘undefended’ and the process becomes more straightforward, where the ‘agreed petition’ can be filed and the process finalised in a timely manner. When a member of either party does not agree to the divorce / dissolution, this is known as a ‘defended’ divorce and the process becomes more complicated. At HSBS Law, we have extensive experience managing both types of cases including those where children are involved. In cases of separation where divorce proceedings have not commenced, a ‘Separation Agreement’ can be drafted to reflect the terms and agreements reached on the breakdown of a relationship between the parties (such as property and maintenance). These agreements are legally binding and can act as a safeguard for the parties involved. When divorce proceedings cannot be issued (e.g. due to religious reasons, moral objections or parties have not been married for 1 year) then a ‘Judicial Separation’ can be used an alternative. The procedure is nearly identical to divorce proceedings however both parties will remain married upon conclusion and they cannot re-marry. In either scenario, HSBS Law are able to advise on such matters, draft the appropriate agreements and support during Court proceeding. When a relationship breaks down, this may have considerable impacts on your assets, investments and financial arrangements. The resolution of these financial matters is therefore one of the most important aspects to deal with during divorce, especially when children are involved. The division of all the matrimonial assets including property, finances and pensions is known as ‘ancillary relief’ and this can often be a complex process, especially when prior agreements have not been established with your partner and investments, businesses and portfolios are involved. At HSBS Law, we will assess all factors affecting settlement (such as children, marriage duration, earning capacity etc) and consider all options available to you both in the interim and future. We will first work to understand if financial matters can be collaboratively settled by agreement or arbitration, after which a ‘consent order’ can be drafted to embody these. If an agreement cannot be reached, Court intervention will be required to resolve any areas of dispute and determine ‘who gets what’. During this process, we will complete the necessary applications (such as the financial remedy application) and support proceedings during the division of assets & finances. Many unmarried couples who are living together may be under the impression that they possess the same legal rights as married couples. This is unfortunately untrue and although similarities may exist in the case of children, radical differences & complexities arise when dealing with shared assets, finances and properties. Here at HSBS Law, we encourage all unmarried couples to draft ‘Cohabitation Agreements’ (Living Together Arrangement) which sets out to define key terms of agreement relating to financial arrangements, division of assets, property, parental responsibility etc. This also extends to ‘Trust Deeds’ which are essential when purchasing a property with an unmarried partner. If arrangements meet the correct legal criteria, they will allow interests of all parties involved to be protected against unforeseen future circumstances such as separation, disputes or death. When thinking about marriage or civil partnership, HSBS Law wish you nothing but happiness and success, however making legal provisions in the event of potential disputes and breakdown can be a sensible way of avoiding any stressful complications down line. ‘Pre Nuptial agreements’ (made before marriage) and ‘Post Nuptial agreements’ (made after marriage) look to protect both parties in the event of a marriage breakdown by setting our agreements regarding ownership & division of assets, finances, maintenance and childcare. Although these are not legally binding, recent case law suggests that during appropriate circumstance English Courts places considerable weight on these agreements when certain criteria have been met (e.g. both parties received independent legal advice). These agreements are becoming increasingly common and At HSBS Law, we are able to advice on these matters and prepare such agreements to your specific needs and requirements. If you find yourself in a legal situation involving a child, we understand that this is particularly sensitive time and often confusing for the child. Here at HSBS Law Solicitors, we have a compassionate team that have experience of handling these situations and our core belief is to prioritise the current & future interests of the child in order to minimise any potential distress that may be caused to their welfare. Parental Responsibility (PR) provides you and others with PR with the right to make vital decisions in the upbringing of a child across all aspects such as education, medical treatment, religion etc. A child’s mother automatically has PR and other individuals who have PR, are given equal rights to make these decisions. Parental rights can be applied for either by agreement or through the Courts via a ‘Parental Responsibility Order’. During a relationship breakdown, couples with PR may not be able to agree on specific points results in disputes. In these scenarios, the biggest concern is the child’s welfare best interests, which is paramount in English Law. At HSBS Law, we encourage couples to reach a collaborative amicable agreement about the child’s arrangements however if disputes exist (such as schooling decisions, name changes etc) then Court proceedings will become necessary to reach a conclusion. There may be circumstances where a local authority deem it necessary to become involved in the relationship between you and your child, thus intervening in decisions related to how your child is cared for. This is often seen in cases where they are concerned about the welfare and/or safety of a child which can often be an extremely distressing situation for all those involved. In these scenarios, Local authorities must establish a ‘threshold criteria’ and select the appropriate Court order including: ‘Care Order’ (child is placed in their care), ‘Supervision Order’ (child is placed under their supervision), ‘Emergency Protection Order’ (remove child or place restrictions on attempt to remove child), ‘Placement Order’ (placing child for adoption), ‘Special Guardian Order’ (allows person to be child’s special guardian) ‘No Order’ and ‘Final Order’. Whatever the scenario, HSBS Law are able to provide support throughout the entire proceedings with the Local Authority & Courts. We are also able to advise on surrounding areas such as Children Protection Register, Children & Local Authorities and Post Care Proceeding Matters. A ‘Non-molestation Order’ prohibits an offender from exhibiting any violent or abusive behaviour (e.g. threats and harassment) to secure the safety of you and any child involved. An ‘Occupational Order’ however dictates who may be required to leave the family home and who can live in it. This includes the victim’s right to occupy the home even if they do not own it and may involve removing the offender from the family home without their consent. If you’re looking for a Family Law Solicitor in Slough (Berkshire) and Hounslow, please contact us for a free legal advice consultation. Let us assess how we can help you.